Since 2007 and even before, many friends and volunteers, came to SAMAGRA (where TISA began), did their good deed of the day – or year! – and moved on. This was Fine. Service can only be measured in terms of motivation, shraddha – and not in the terms of time or money. Secondly, if stammering is a diversity, we do want people to move on, once they have understood this truth – instead of returning again and again for “refresher course” – like in clinical settings. Life is much more than associations, self-help, fluency and recovery. So much MORE. Right? But some friends remained in touch over emails, ORKUT, IPWS Yahoo group etc. and met for the first time in Mumbai in 2009. A public blog began to shape the contours of a nebulous community (1% scattered all over this vast country). Self-help groups started, nurtured by Communication workshops (over fifty) and other events and modalities – personal visits, whatsapp, Google hangouts, phone calls (“speech practice”) etc. In the last couple of NCs, young women who stammer and some families too have participated – a heartening trend. In a nutshell, this is a long story, waiting to be written down someday! Hopefully. So, have we arrived? Not yet! 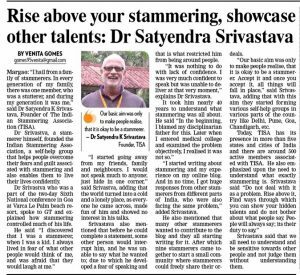 Redefining stammering as a diversity which one can live with, celebrate and build upon – is an idea which gets challenged every moment by old structures and mindsets; Society stigmatizes every deviation from “normal”; there is a powerful health care industry which is too ready to “fix” it. 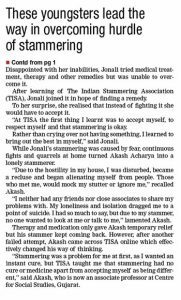 Stammerer too prefers the “much travelled” path of paying a therapist and surrendering all responsibility for his own well-being. But were we not born to attempt the impossible? As Ritik Roshan said: Jindagi milegi na dobara.. (We have this life only- to play with!). Why worry? We have nothing to lose – except shame and fear, and everything to gain! We have often been told as children: What will you do- you cant even say your own name? But TISA experiment has taught us: saying one’s own name is not a big achievement after all! Hailing out to others, befriending them and listening to them, IS. Serving others, IS. Being afraid and still going ahead, IS. Finally, world changes or not, if I can change myself – my world gets immediately transformed. We do not measure our success in numbers and budgets. We are not looking for “improvement” – we are aiming at transformation. A radical change in the way we see stammering and other superficial differences in mankind – and our purpose here on the earth. So, the journey continues. Join us sometime. Just for fun. Like the people below.. If Viktor Frankl (wiki) is correct, suffering can become not only tolerable but even uplifting, if one could find some MEANING in it. We began with a search for “cure” but ended up looking for meaning, a purpose. We have tried to make “sense” of stammering in our lives. This search for meaning despite our constant struggle with words, disappointments and difficulties in relating to the rest of the world – has taken a collective shape as TISA. Many of us now believe that stammering, like many other struggles in life, is a mysterious portal into a different world of understanding, empathy and purpose in life. But, one has to knock at the door for sometime! 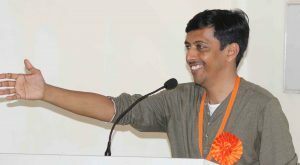 TISA is being led by Harish Usgaonkar, a warm, sensitive and empathetic team leader who has served the community sincerely since 2009. Click Here to know more about the TISA core team. 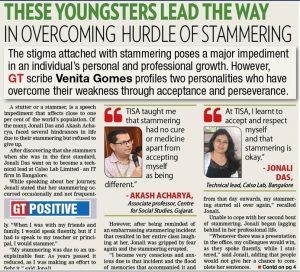 If you are someone who stammers and live in a city mentioned below, feel free to contact the facilitator – they are all people who stammer, who are qualified by TISA to run SHGs. SHGs are free of charge. Nimach & Mandsour SHG, M.P. If any other SHG is running on Self help principles, please give information, it will be updated. Our Gratitude: This journey has had many meetings and many partings. Even when tyranny of day to day grind, makes the mind “forget” some of these friends, who inspired us, shared their resources and thoughts, opened their homes to us – they are always in our hearts. Even though they are too many to fit a little box, we must express our gratitude; Click the toggle below- and let us know, if a name is missing here.. Many thanks to Dr Pradeep (Samagra Trust, Dehradun). Samagra was the place where most of us met in the early years – 2006 to 2009, when idea of self-help took roots. Dr Alok (Medicasynegie, Kolkata) has offered valuable help constantly: Medicasynergie hosted our Communication workshop in April 2010. SMTA, Vikasnagar hosted our first workshop in Jan 2010. Herbertpur Christian Hospital and Anugrah have supported many of our workshops and events. Thanks to many media person also, who have helped and spread the word. 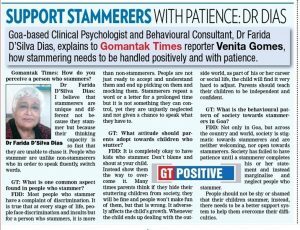 Much thanks to many other institutions and individuals: Dr. Farida D’Silva Dias, YMCA, Goa. Dr Noura Embabi (SPEAK). 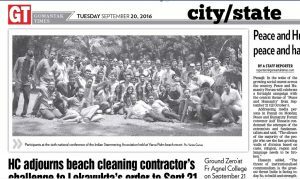 Many thanks to all the SHGs, volunteers, friends. Thanks to Dipesh, Abhinav, Dhruv (SPEAK) and Vishal who volunteered to set up this website. Our gratitude to Dr Akash Acharya, Mr Viren Gandhi, Mr Virendra Shirse, Mr Jasbir Sandhu and Mr Pramod (Chandigarh) too, who have supported TISA from the very beginning. Finally, Sachin wishes to express his deepest gratitude to Sri Chandraswami Udasin ji of Dumet– the silent saint of Yamuna valley, whose blessings got the ball rolling sometime in 2004; who emphasised that selfless service is a limb of Yoga; who convinced us through his life that a deeper communication can happen without words. He sincerely thanks Br Ananta Chetan too, for his valuable feedback, encouragement and precious company (Talk the walk). Our families and friends who have encouraged us on, even when they had no clue and were worried! Stammering is what you do to avoid stammering. Stop fighting and stammering too will leave you alone. Stammering is cool and fun! It wins you sooooooo many friends..